In this policy brief, Al-Shabaka Policy Member Nora Lester Murad examines aid through the lens of “complicity” and exposes shortcomings in current legal frameworks. She argues that regardless of the limitations of applicable law, international aid actors are fundamentally responsible to those they seek to assist and must be held accountable for the harm they cause or enable. She identifies the areas in which questions need to be asked and concludes with some of the steps that Palestinian civil society and the international solidarity movement should take. Can Oslo’s Failed Aid Model Be Laid to Rest? Palestinians have a right to request international aid, and donors have an obligation to provide it. The manner in which this aid has been provided, however, may actually facilitate violations of Palestinian rights under international humanitarian law (IHL). The failure of international actors to act in line with their obligations as third-state and non-state actors enables the status quo to continue, incriminating aid actors in ongoing violations. In fact, several factors that are actually under the control of the international aid system coalesce into an aid regime that facilitates violations of Palestinian rights. These include: 1) Donor categorization of the situation of Palestinians living under the Israeli occupation as an “emergency” year after year as leads to short-term interventions that perpetuate need by focusing on symptoms rather than causes; 2) The policy of non-confrontation with Israel regardless of its actions conveys international acquiescence and contributes to Israeli impunity; and 3) The lack of accountability of the aid system itself has enabled it to marginalize Palestinians and become self-serving. Whether this meets the legal threshold to deem international aid actors “complicit” is a question better left to legal experts. If it does, it is to be hoped that these experts will suggest remedies that may be available to Palestinians through legal avenues or in the political realm. Below are eight questions that need to be asked about international aid as it is currently structured. 1. Does aid to Palestinians help Israel evade its Fourth Geneva Convention obligations? Given Palestinians’ prolonged dependence on international aid, it can be argued that aid to the OPT effectively relieves Israel, as the Occupying Power, of its obligations to protect Palestinian civilians and ensure that their basic needs are met, under Article 60 of the Fourth Geneva Convention. Aid also subsidizes the occupation by freeing up funds that pay for Israel’s violations and directly helping Israel evade its obligations towards the protected population. Moreover, when Israel damages donor-funded projects through demolition, bombing, or other attacks, international donors rarely respond with anything more than mild objections. They have never acted in a systematic way to claim reparations or compensation from Israel. On the contrary, they continue to come forward with funding to rebuild, thereby excusing Israel of responsibility for its actions. 2. Do aid actors “give effect” to Israel’s illegal blockade on Gaza when they accommodate procedures that hinder humanitarian or development assistance? The First International Session of the Russell Tribunal on Palestine concluded that accommodating Israel’s blockade on Gaza in order to provide humanitarian assistance – and/or to justify non-provision of development assistance – may, over a prolonged period of time, “give effect” to Israel’s blockade on the Gaza Strip in breach of Article 33 of the Fourth Geneva Convention, which prohibits collective punishment (see Article 19.9 of the tribunal’s conclusions). This situation can be compared to the International Court of Justice (ICJ) ruling that the annexation Wall in the West Bank and its associated regime create a fait accompli on the ground that could become permanent and would be tantamount to annexation. Indeed, a 2011 study in Gaza found that international organizations did not sufficiently challenge the political framework in which they delivered their support. Other studies have found that aid actors went to extraordinary lengths to comply with Israel’s requirements even though this added significantly to the cost of aid. As a result, they do not fully respond to the humanitarian imperative to intervene, as set out by the International Code of Conduct in Disaster Relief, even when the Gaza crisis is most severe. It should be noted that, under the Rome Statute, willfully impeding relief supplies as provided for under the Geneva Conventions can be, in extreme cases, a war crime (Article 8(2)(b)(xxv)). 3. Is providing military aid to Israel, which it uses to violate Palestinian rights, a violation of Common Article 1 of the Fourth Geneva Convention? The United States and European countries provide military aid and weapons that aid Israeli aggression. This military aid is part and parcel of the same foreign policy that directs these governments’ “aid” mechanisms. One blatant example is the August 1, 2014 decision by the US Congress to allocate an additional $225 million in aid for Israel’s Iron Dome system just two days after the sixth Israeli attack on United Nations facilities – the shelling of its shelter in the Jabalya Refugee Camp – which senior UN officials described as a “serious violation of international law.” Even assuming that the aid was intended for Israel’s defense, it shows disregard for both US domestic and international law precluding aid that facilitates violations. US President Barak Obama, an expert on constitutional law, may have had this in mind when he delayed delivery to Israel of promised missiles soon afterwards. Another example is the export of weapons and weapons components by EU member states to Israel, some of which were used during the conflict in Gaza in December 2008 and January 2009 and may have been used to commit war crimes and crimes against humanity. In fact, despite British objections to Israeli conduct in that aggression, UK weapons sales to Israel reportedly increased subsequently in violation of EU law and likely empowered Israel militarily in its 2014 aggression in Gaza. In addition to their obligation to ensure respect for Palestinian rights, states have an obligation to ensure that the arms and ammunition they supply are not used to commit violations of IHL and human rights, in line with Common Article 1 of the Fourth Geneva Convention, which obligates High Contracting Parties to respect and ensure respect for IHL as well as with the principles of the Arms Trade Treaty that was recently adopted by the UN General Assembly. 4. Does aid actors’ accommodation of discriminatory national anti-terrorism policies violate the humanitarian principle of impartiality? Implementation of poorly conceived anti-terrorism policies that require discrimination against partners and beneficiaries solely on the basis of assumed political affiliation appears to be a violation of the humanitarian principle of impartiality. International donors and international NGOs that promote or comply with these policies could be considered to be in violation of their humanitarian mandate as a result; many provisions of anti-terrorism policy are also illogical, thus opening room for interpretation and abuse. As the Russell Tribunal suggested, it is not logical for the EU to suspend relations with Hamas while it maintains relations with Israel, a state that violates international law on a far greater scale (see Article 27). Furthermore, research in Gaza found that, due in large part to anti-terrorism policies including the no-contact policy, international involvement in Gaza directly fed the factional split between Fatah and Hamas and led to reduced accountability, corruption, and militarization. 5. 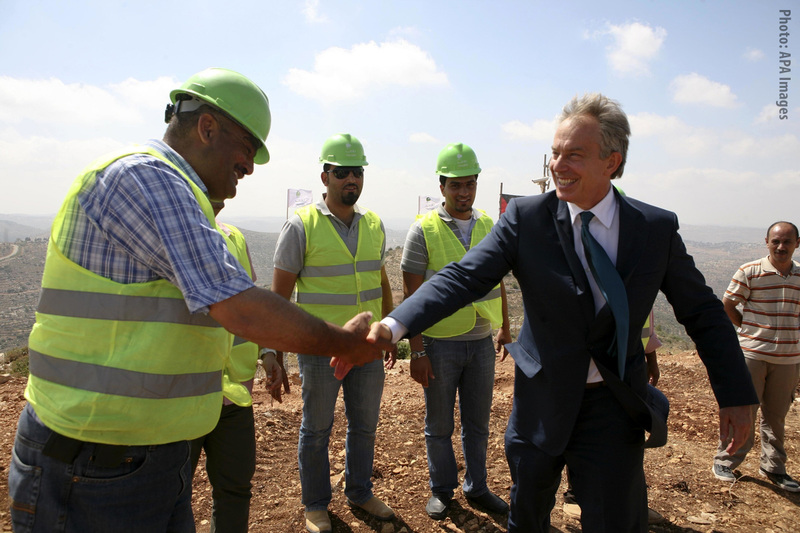 Does aid to the Palestinian Authority entrench denial of Palestinian rights? Palestinian human rights experts consistently point to the Oslo Accords and Paris Protocol as historic landmarks in the deterioration of Palestinian rights, both because of the restrictions on Palestinians that became legalized as a result and because of the type of politically compromised aid that followed. International actors frequently claim that they cannot be expected to advocate for Palestinian rights more forcefully than the Palestinian Authority (PA) itself. This implies that the PA is independent of outside influence, when in fact it isn’t even a viable entity without international aid. This results in a nonsensical situation: The PA must concede to international demands but is then used by aid actors as an excuse to forsake their obligation to ensure respect for Palestinian rights. In fact, Articles 7 and 8 of the Fourth Geneva Convention stipulate that no international agreements can undermine the protections guaranteed under IHL. Moreover, given that the PA frequently obstructs Palestinian rights as an agent of the Israeli occupying power, it may be that international aid to the PA, ostensibly in response to a request from the protected population, actually facilitates Israel’s violations of the Fourth Geneva Convention. 6. Do aid procurement policies that allow Israel to profit from its abuse of Palestinian rights actually incentivize further violations? Israeli aggression is profitable for Israel. Administration of aid procurement policies that allow Israel and Israeli companies to profit, especially those associated with violations of IHL, effectively incentivize further aggression. For example, in May 2012, the UN Children’s Fund (UNICEF) reportedly invited a bid from an Israeli contractor with operations in Israeli settlements on a desalination plant in Gaza, prompting a boycott threat from the Palestinian Contractors’ Union. In addition, in January 2014, UNDP awarded a $5.1 million contract to Mifram, an Israeli company that supplies checkpoints to the Israeli army. Instead of embracing their responsibility under international law, many aid actors have publicly distanced themselves from the Boycott, Divestment, and Sanctions movement (BDS). 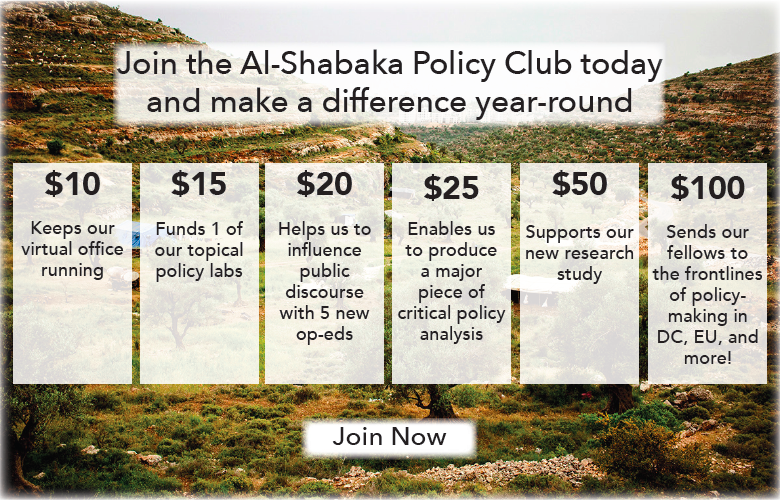 Some have implicitly or explicitly threatened to de-fund Palestinian NGOs that promote BDS. 7. Does treating Israel as a “special case” erode the fundamental notions and universality of international humanitarian law? Failing to apply existing international rules and standards can be construed as support for Israeli violations of international law thus incurring responsibility in light of the International Law Commission’s Draft Articles on State Responsibility (Article 16). This applies in particular to the use of the so-called peace process as a means to delay the realization of Palestinian rights. As long as the “peace process” is in motion, Israel is effectively exempted from accountability to international law. The fourth session of the Russell Tribunal underscored that the lack of “concrete UN action to hold Israel accountable for its violations constitutes an internationally wrongful act” (see Article 15). Too many international NGOs come to Gaza with a 100 percent humanitarian agenda, while our NGOs are all developmental. They come here, have no idea about the local context, recruit our well-trained staff, and work directly with the end beneficiaries. This is no partnership. It weakens our local NGO structures and treats us as subcontractors. The study also referred to the problems created by more generous salary levels for NGOs, duplication of work, and short-term interventions, among other ills. 8. Does international disregard for humanitarian principles send a message that Palestinians have no rights and Israel has no obligations? There are several conflict-specific examples of reparations programs such as claims commissions, freezing of assets, and garnishing of revenues that take a broad view of the types of harm for which claims can be made. However, none of these have been used in the case of Israeli violations against Palestinians. The sources of international law that call on injuring parties to assist victims are listed in a recent publication by the Harvard University International Human Rights Clinic and include the following: Basic Principles and Guidelines for Victims, the Rome Statute, the Principles on Transboundary Harm, and the non-binding Basic Principles and Guidelines on the Right to a Remedy and Reparations for Victims of Gross Violations of International Human Rights Law and Serious Violations of International Humanitarian Law adopted by the 2005 UN General Assembly. The most recent international finding regarding reparations that are directly linked to Israel’s harm of Palestinians relates to Israel’s illegal Wall, with the ICJ calling for reparations for all natural and legal persons affected. While this was a non-binding advisory opinion, a subsequent UN General Assembly resolution (A/ES-10/294, January 13, 2005) demanded Israel’s compliance with the advisory opinion and established a register of damages related to the Wall, which could prove useful in a future claim. After the 2008-2009 Israeli aggression against Gaza, the UN Human Rights Council voted that Israel should pay reparations for damages suffered by Palestinians, but again there was no implementation. The only time the international community has ever demanded the payment of reparations from Israel was for damage it caused in the 2008-2009 Gaza conflict. The claims were made not by or on behalf of the Palestinian victims, however, but by the UN for damages to its own facilities. It is noteworthy that Israel paid. 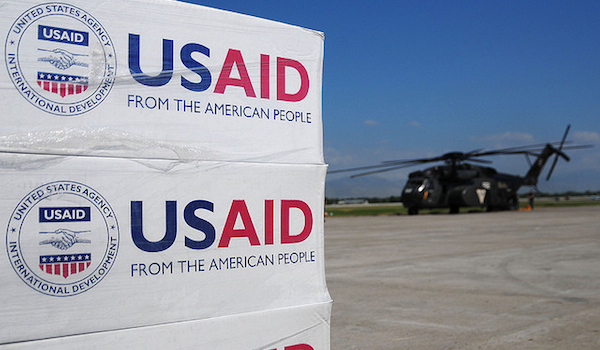 It cannot be argued that international aid is a form of reparation. First, because beneficiaries perceive development programs as distributing goods to which they have rights as citizens rather than as victims. Second, experts in transitional justice say that remedies are “central to any process of reconciliation and justice” and only have meaning if the party causing injury pays its own damages. 2 In any case, Israel’s responsibility is not abrogated by Palestinians’ receipt of international aid. Apart from Palestinians’ claims against Israel, which international aid actors should support, bad practice by international organizations may in itself be a basis for claims by Palestinians if the Draft Articles on the Responsibility of International Organizations take effect (A/66/10, para. 87). Humanitarian principles and codified standards of development practice mandate that assistance shall not expose beneficiaries to further harm. Whether or not the complicity of international aid actors reaches the liability threshold of aiding and abetting the aggressor, the evidence demonstrates that much current international aid practice in the OPT does cause harm. Sadly, the international aid community has neither been critically self-reflective nor have they sought out Palestinian critiques to improve humanitarian and development outcomes. Palestinian civil society and the international solidarity movement should seek new and innovative accountability mechanisms to hold international actors to account under existing laws and commitments. These mechanisms must target the range of aid actors – governmental and non-governmental donors, multilateral agencies, international and Palestinian NGOs, private contractors, and political parties and movements. It is also important to understand the opportunities and limitations of traditional mechanisms. For example, it is unlikely that the courts will provide remedies given the complex limitations of jurisdiction and the uneven development of national and international law. Other kinds of accountability mechanisms may offer faster and more direct impact: truth commissions, reparations movements, public inquiries, and civil society trials, such as the Russell Tribunal on Palestine. The BDS movement has made progress in pushing for accountability of companies involved in Israeli violations of international law, e.g. Veolia’s role in Israel’s light rail project in Jerusalem. There could be scope to use some of the same public pressure against aid actors contributing to violations of Palestinian rights. Palestinian and international civil society could also engage constructively with international organizations to better understand how existing codes, standards, and legislation apply in situations of prolonged military occupation. In particular, questions (and guidelines) should address the conundrums that face aid actors: How long should a “humanitarian response” be allowed to last before aid actors deem that “emergency” conditions are being manipulated in order to avoid dealing with root causes? Where is the dividing line between humanitarian aid that is legitimately controlled by an occupying power and humanitarian aid that is being obstructed in violation of international law? 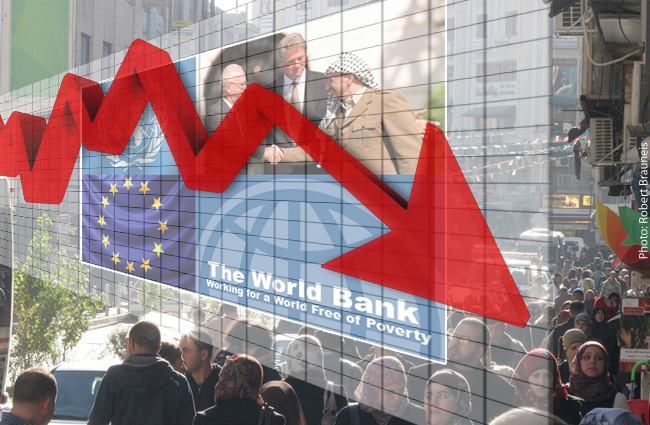 Are there limits to how much revenue international aid actors should be allowed to raise on behalf of Palestinians when local organizations are unable to compete to attract funds and long-term local sustainability is being undermined? One thing is clear, the theory of change that drives the global aid reform movement has been proven false. 3 Like Israel, international aid actors will not transform their policies based solely on morality or law. Pressure tactics will be needed to upset power differentials so that, ultimately, international aid actors “can’t not do” the right thing. 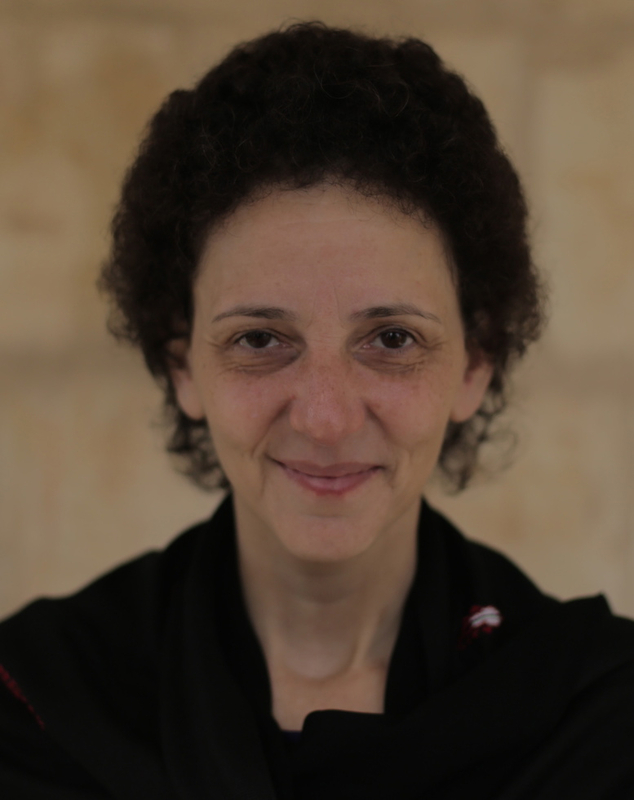 Al-Shabaka Policy Member Nora Lester Murad is an adjunct associate professor at Fordham University. She is also the co-founder of Dalia Association, Palestine's first community foundation; and Aid Watch Palestine, a community-driven aid accountability initiative. She has published widely on the subjects of international aid and community philanthropy, including in The Guardian, Aljazeera, Huffington Post, OpenDemocracy, Counterpunch, and Mondoweiss, and on her blog: www.noralestermurad.com. Her first book, Rest in My Shade (November, 2018), is a poem about displacement featuring 18 Palestinian artists around the world.